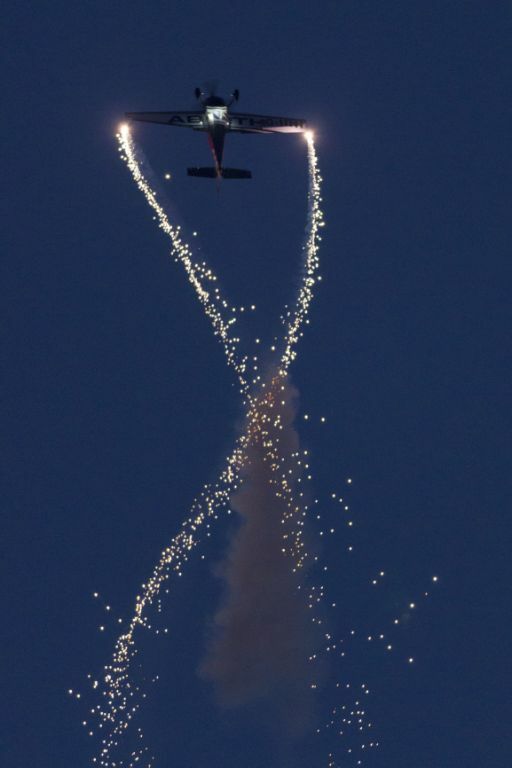 Fireworks on my wings after 18 months from conception. 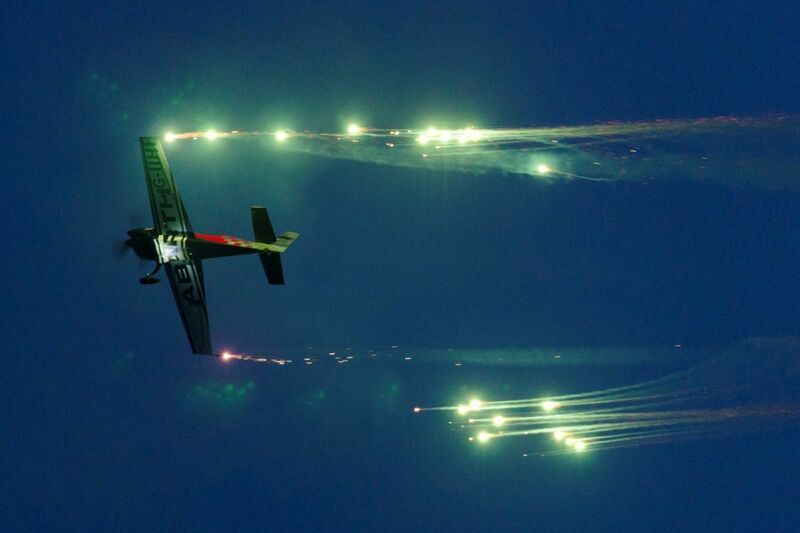 The only fully certificated aircraft in the UK to have such approval for evening air displays. Approximately in June 2013, I started to design the concept and how to attach pyrotechnics to the wing tips of the Extra. 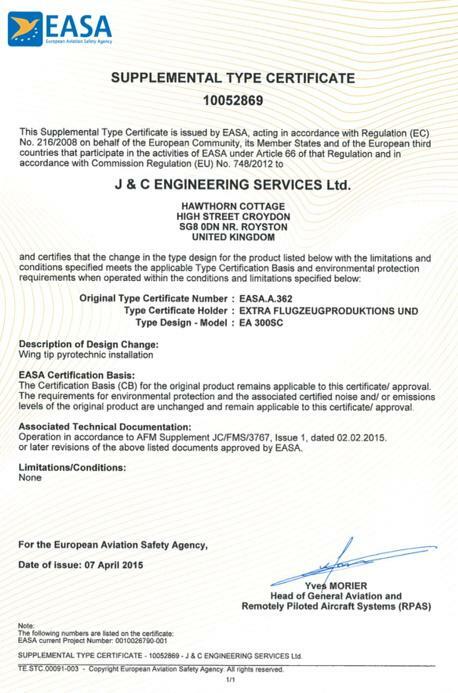 November 2013 a submission was made to EASA. Firstly deciding upon which type of pyro to use, once chosen the burn time is important. Typically 1:15 seconds is achieved per device. Its a simple matter to add the appropriate devices for the display duration. The fireworks can be fired sequentially or individually depending upon needs. For the design of the mounts steel was chosen, the reason being some of the temperatures of the fireworks especially those burning magnesium can be very high. With the mounts made the task of certifying the aircraft to fly with the additional weight at the wing tips had to be undertaken. Well that task certainly is herculean. Firstly you need to engage a EASA design organisation. These guys usually work for major airlines approving design and fitting of new “trick” reclining seats for airlines. I mention this because those clients pay well. i.e. they are not cheap to employ. Once these guys get there teeth into the task approximately a 24 pages check list is produced covering every aspect, for example strength analysis of the brackets, strength of the wing, how to fire the devices, pyro safety protocols, flutter analysis, Flight manual supplements, flight test schedules. This is then sent to EASA where a man presumably in a white coat starts to ask questions after a fair amount of begging and badgering to bring the file to the top of the pile. He will then ask a few obvious questions and await the replies from your design organisation who is working flat out for the airlines. You get the answers back to EASA and wait. With 34 years flying experience, CAA approved check pilot, flown 140 types, Unlimited British Champion, top 10 in the World on 2 occasions with 500 hours on Extra 300 series aircraft does not qualify you to test fly the aircraft. 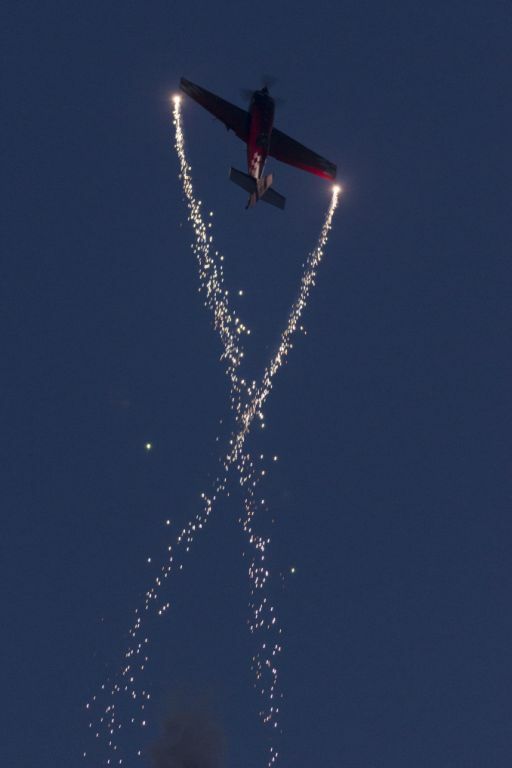 Initial EASA stipulated testing at 10,000ft firing the devices over water……. maintenance company and your ready to fly some 18 months after concept. 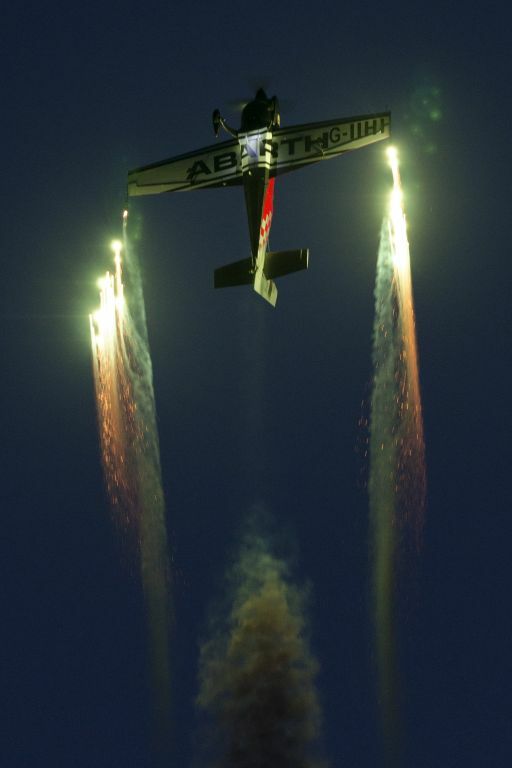 Flight testing is carried out by the EASA approved test pilot. 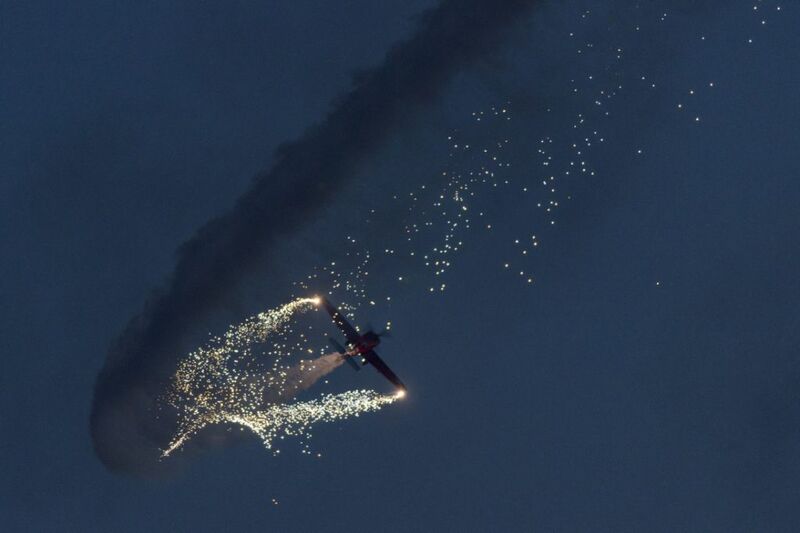 A base line flight is flown and then the pyros are installed a further flight is then flown to assess and changes. The above stages would have taken 2 months if the aircraft had been in the Permit to Fly class (PtF) and would cost a fraction of the fees. With the choice of pyro determined for the show (colours, effect etc) these are securely attached. Wiring and arming the fireworks is a delicate task. No blue touch-paper ignition. This is serious stuff an electrical “squib” is used. Basically this looks like a match head with 2 wires. Its buried in the chosen pyro and secured to the body. Electrical connections are made sure to be off, wire connected and the aircraft is ready to display. 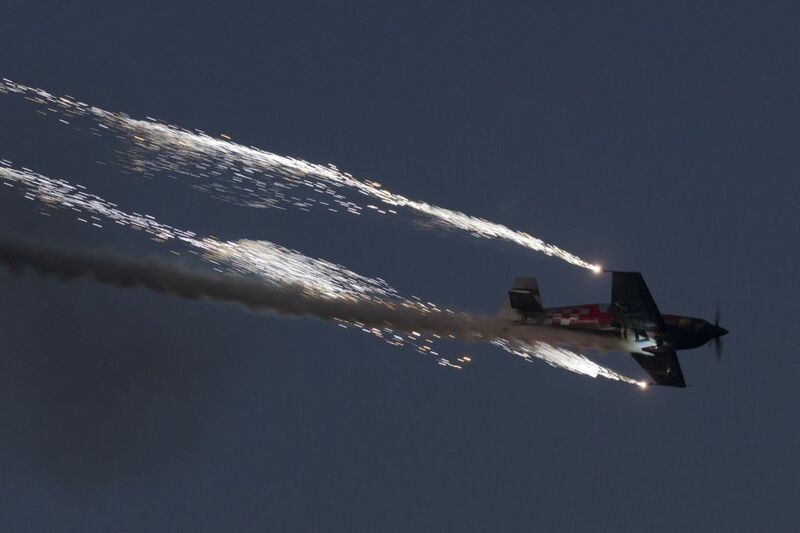 It must be parked away from the public with warning signs placed at each wing tip alerting to pyrotechnics fitted. The best time to display is approximately 23 minuets after sun set. 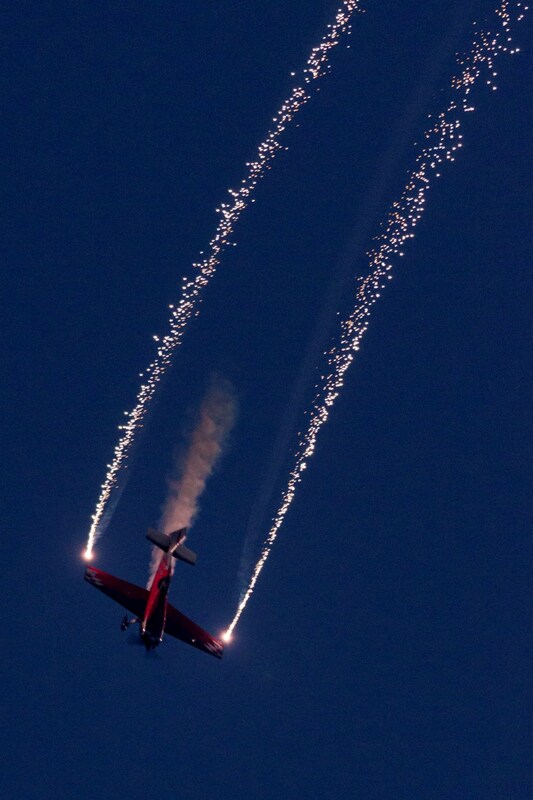 Now that the Extra is cleared for pyrotechnic display I’m looking certainly looking forward to flying these events. 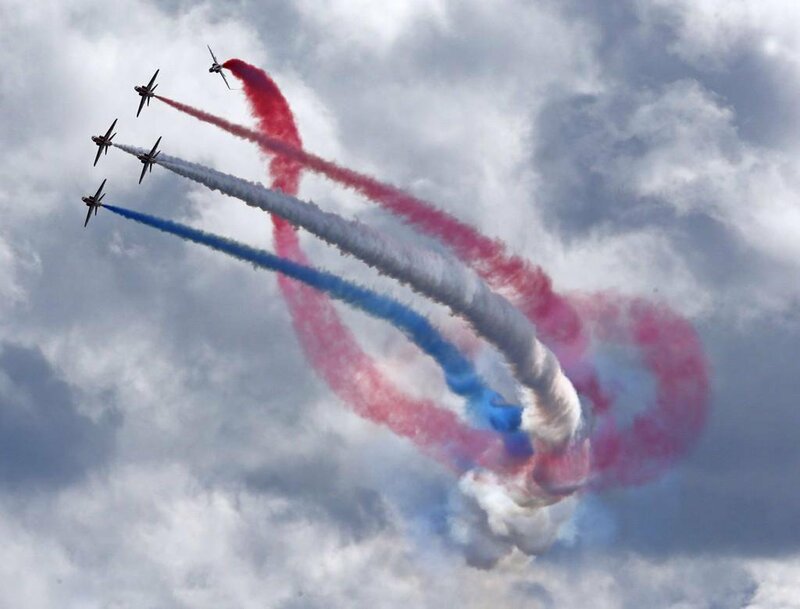 Not only the flares you see in the above photos but smoke canisters can also be carried thus a tri coloured “flag” could be displayed like Red/ White/ Blue similare to the Red Arrows for example.